This fondant ruffle cake is for a couple celebrating their 45th wedding anniversary with dear friends of mine. 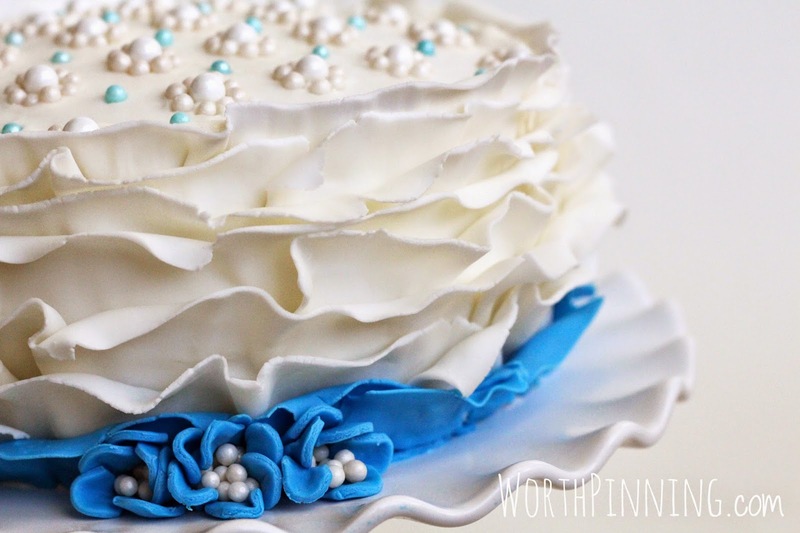 I knew I wanted to try the ruffle technique on my next cake and an anniversary cake was the perfect specialty cake for this pretty frilly design. Start by baking 3 six inch rounds. There is a raspberry filling between layers rather than buttercream frosting. White almond cake with raspberry filling is such a great combination. Crumb coat the 3 layers. The sides can stay crumb coated because they will be covered with fondant. The top should be a thicker layer of frosting for a smooth top. 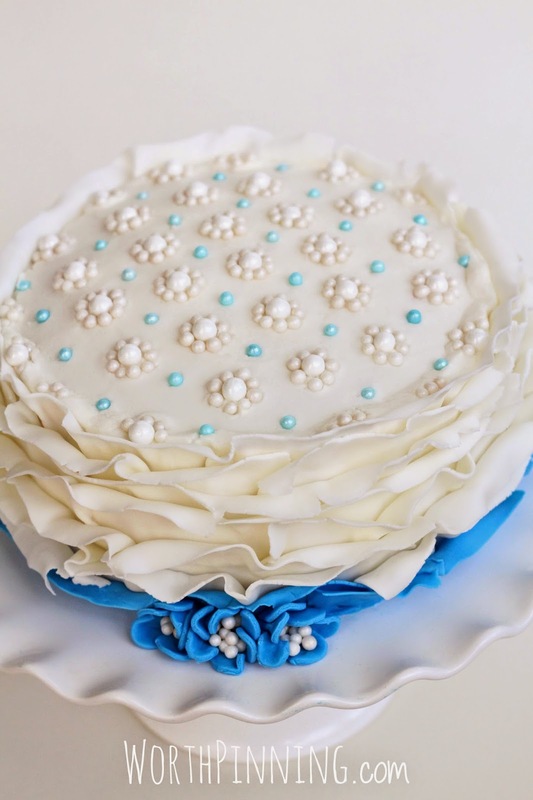 Place the sugar pearls using a pair of tweezers while the frosting is still soft. This frosting sets up a thin crust within about 30 minutes. I used blue sugar pearls to pull in sapphire, which is the traditional gift for 45th anniversaries. I made marshmallow fondant, rolled it thin and cut it into 1" strips. 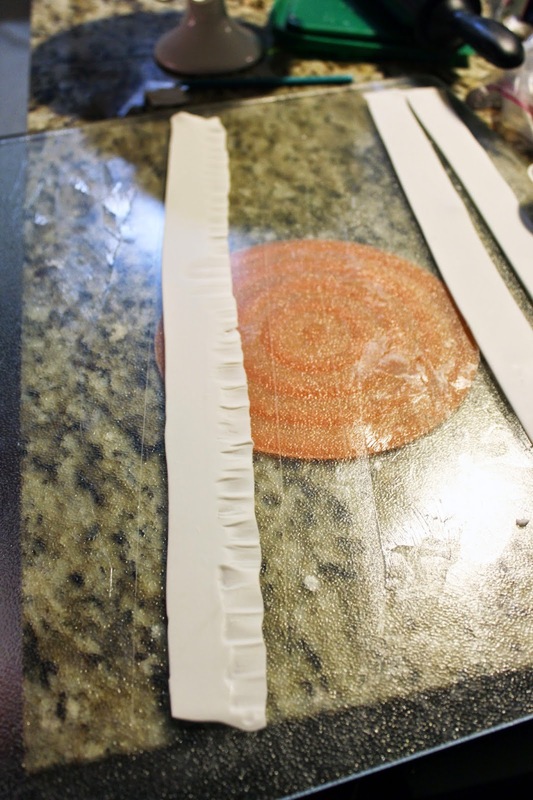 Roll the strips even thinner and then gently press a paint brush handle or decorating tool and roll it to thin the fondant along the top edge. Flip the fondant strip over and brush the bottom half with water. 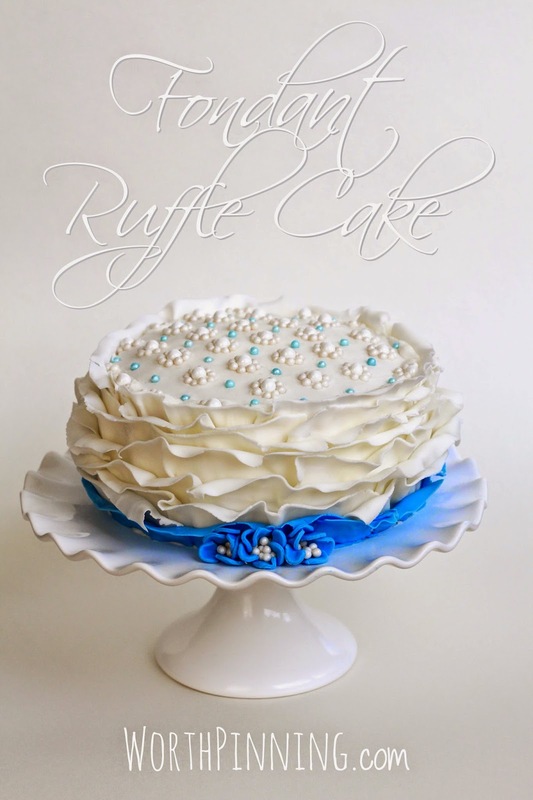 Secure to the cake and gather as you place to create the ruffle look. 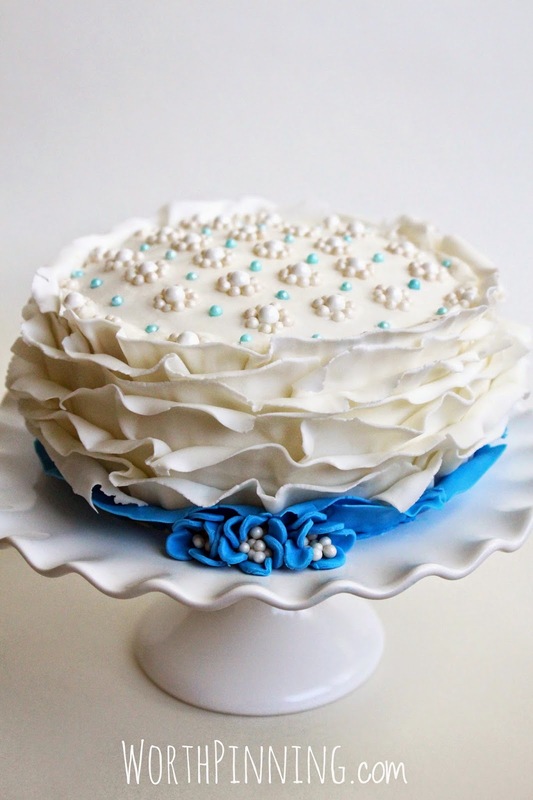 As you place the ruffles, start at the top of the cake and work down. Curl the top edges down slightly for more texture. Repeat until you reach the bottom of the cake. I finished the cake off with a blue ruffle and 3 fondant flowers. This is a very forgiving technique if you struggle with frosting a nice smooth cake. 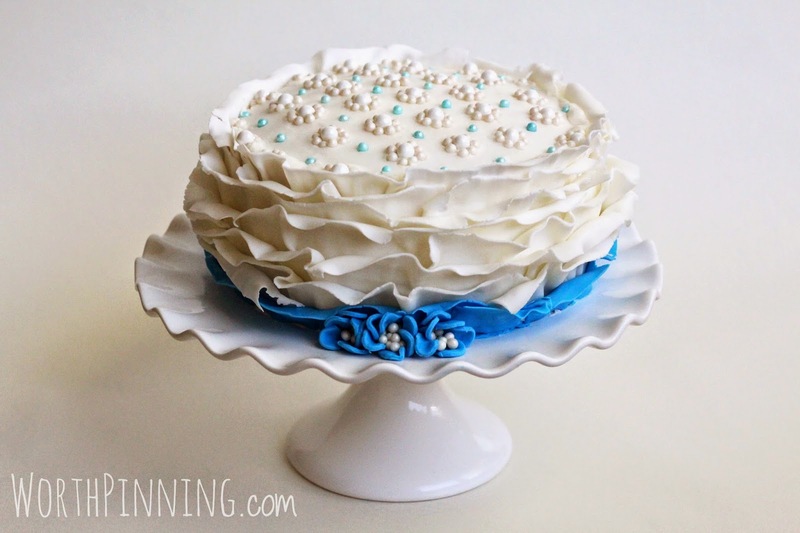 The ruffles start higher than the cake and hide the top edge. The cake serves 6-8 people. The cake was a surprise and I heard couple was thrilled to receive the cake. 45 years together is even more beautiful than this cake. I am going to try this for my birthday - gorgeous!